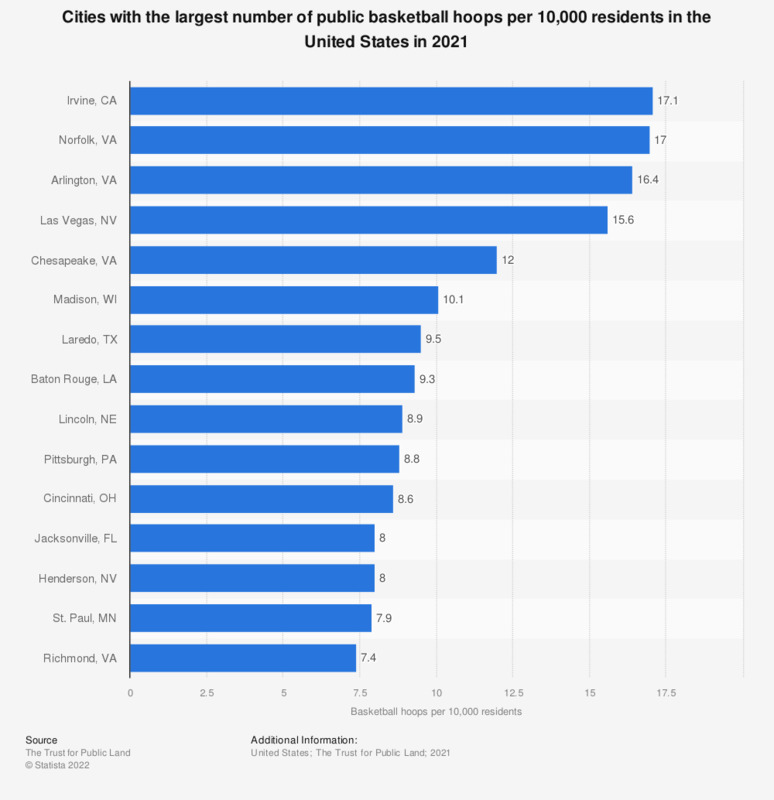 This statistic shows the cities with the largest number of public basketball hoops per 10,000 residents in the United States in 2017. In Madison there were 10.6 public basketball hoops per 10,000 residents in 2017. Cities taken into consideration were the 100 most populous cities in the U.S.
How interested in general are you in following college basketball?